If you are into fitness and want to measure and track your weight and BMI(body mass index) or if you are trying to lose or gain weight and wants to see your progress. This scale is for you! A non complicated digital bath scales that allows you to set-up up to 5 unique user profiles. It has auto detection, it recognized you when you step on the scale the next time. It comes in two different colors(white and black) made out of impact-resistant tempered glass and can weigh up to 400 lbs. It has BMI with weight differential detection, instantly shows your BMI, current weight and your weight change since your last weigh in. It calculates your net weight change from the average 3-7 weigh ins. Smart LCD color alert technology. Illuminates green color during weight loss and red when you gained weight. 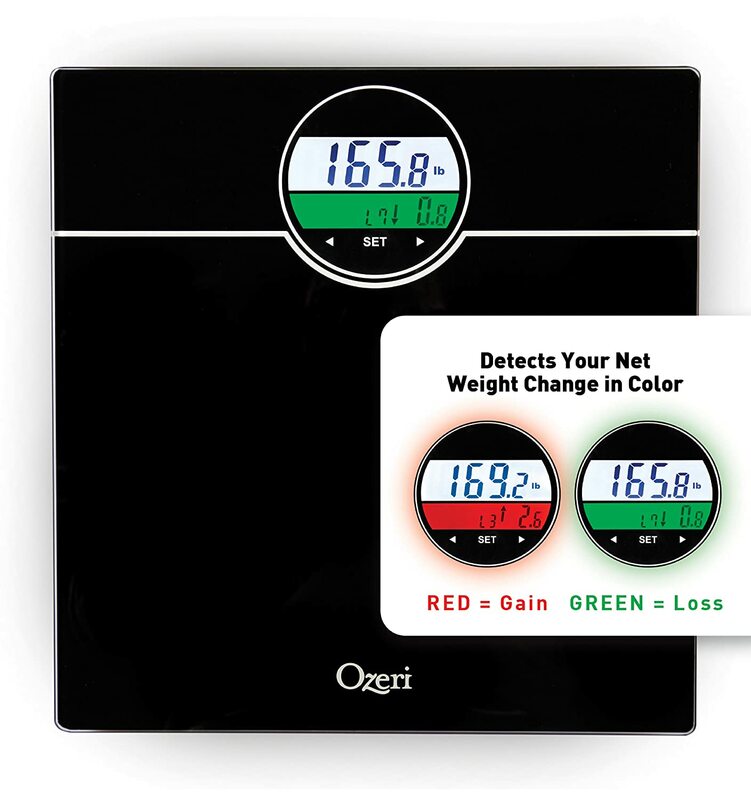 What I think of Ozeri WeightMaster 400 lbs Digital Bath Scale? The Ozeri WeightMaster 400 lbs Digital Bath scale is the best scale I have ever had. Sturdy and It can weigh a person up to 400lbs so no worries of breaking it if you are overweight. I received black color scale that looks very classy with sleek design for review. It is thin and light so moving it from place to another is easy. Since it was made from impact-resistant tempered glass, cleaning it was so easy. I can even use the eyeglass wipe cleaner that I have. I love that it is equipped with non-slip scratch-resistant feet that won't damage the floor. I can also changed the measuring unit from pounds to kilo and vice by pressing the button at the back. It has auto-recognition technology so the next time you use the scale, it auto recognized you by displaying your BMI, height and user profile number. I was able to set-up 3 user profiles, one for my hubby, for me and my oldest son. At first, I had hard time setting it up but it came with a manual for instructions. In setting up profile, simply press set, it will display the user profile number, press the arrow right or left to choose the user number you want then press set. Then you have to put your height but wait for the height number to blink before pressing the arrows left or right to choose the right height measurement then press set. It will then display lbs or kilo depending on the unit of measurement you choose. You are now ready to weigh yourself by stepping on the scale and not moving for few seconds until the BMI numbers displayed. That is all for the weighing process and instructions and the next time you step on it, it will recognize you by showing your profile number, height, BMI and current weight. I recommend this scale, it's worth the money and it has a year warranty from the date of purchase.